Have you been looking to purchase an Android tablet in India? Well, Lenovo has got the perfect tablet that won’t put a hole in your pocket. Lenovo Tab3 7 LTE comes equipped with a set of specifications that makes it an ideal tablet for first time user. Let’s dive into Lenovo Tab3 LTE specifications. It comes equipped with a 7-inches 1024 x 600 pixel resolution display. Running on Android 5.1 Lollipop OS based user interface, it packs 1GB RAM and 16GB internal storage. The brain on this device is a 1.3 GHz MediaTek Quad-core processor. Offering a 2MP primary camera and 0.3MP front facing camera for selfie and video conference calls, this tablet is ideal for many day-to-day task. 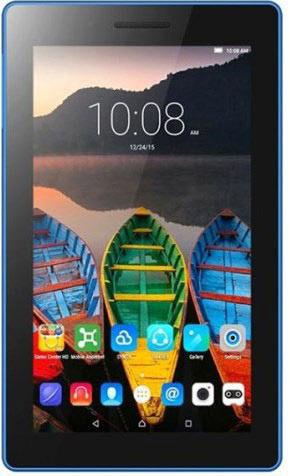 With a SIM card slot, this tablet offer voice calling on a 3G network. Isn’t that just amazing! You can also make voice calls using tablet. This tablet is powered by a 3450 mAh capacity battery, which should give decent battery life. Lenovo Tab3 7 LTE full specs and reviews as of Apr 2019. Buy it here!